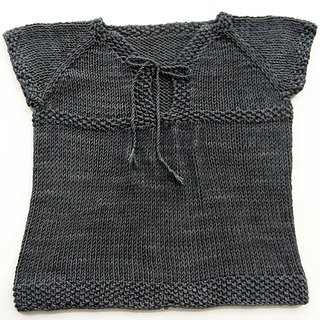 The perfect lightweight long top for tots when you want a simple knit with boutique details. 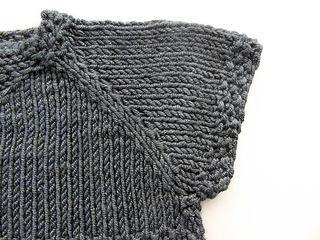 Knit from the top down with short raglan sleeves. 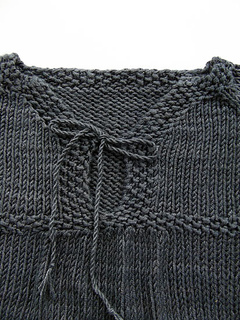 V-neck pullover style with cord ties makes it easy to put on and remove. 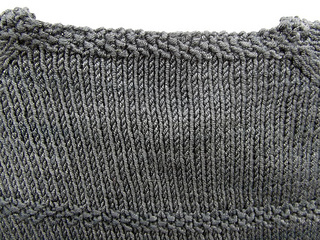 Seed stitch empire waist with increases at the front of chest creates a lovely drape. 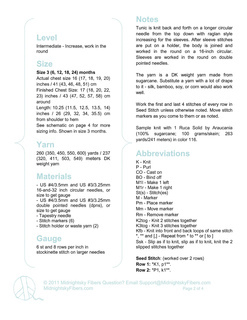 Sizes 3 to 24 months. 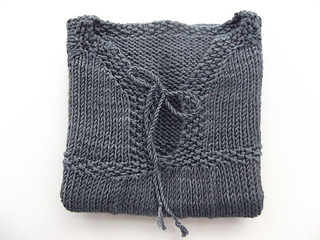 Perfect for spring and summer, or layer over a long sleeve shirt in the winter. 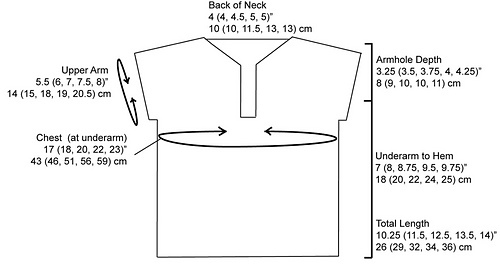 See schematic on page 4 for more sizing info. 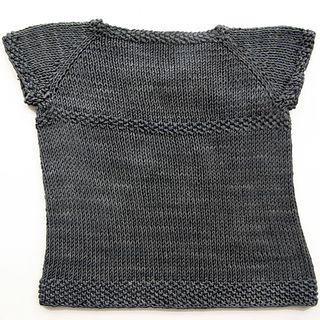 Shown in size 3 months.